SUNRISE, Fla., Aug. 3 /PRNewswire/ -- Combining commercial global positioning and communications technology with battlefield-rugged computing, General Dynamics Itronix is introducing the GD300 fully rugged arm- or chest-worn computer. Weighing less than 8 ounces, the Android™-based GD300 operates like an ultra-sensitive commercial GPS unit or, with the click of a cable, interfaces with tactical radios like the Rifleman Radio (AN/PRC-154) for secure access to the tactical network. The GD300 uses a quadra-helix antenna for real-time global positioning that defies interference even when the user is positioned in mountainous regions or urban environments. "The GD300 is a game-changing computer that will save lives," said Mike DiBiase, vice president of Computing Technologies for General Dynamics C4 Systems. "We expect the GD300 will become the most important 8 ounces of tactical communications and situational awareness equipment that a warfighter can carry." The GD300 hosts the open architecture, Android™-based operating system to easily accommodate current and emerging applications for warfighters at all command levels. Operating in two distinct modes, the GD300 serves as a stand-alone GPS device or, when connected to a tactical radio, performs as a tactical mission computer. The GD300 supports commercially available standalone applications or military "apps" like the Tactical Ground Reporting (TIGR) System which is currently in use by the military. When connected to a tactical radio, the lightweight GD300 enables warfighters to securely communicate, share information and collaborate while on the move. Delivering up to eight hours of continuous operation, the lightweight GD300 is powered by standard lithium-ion batteries. 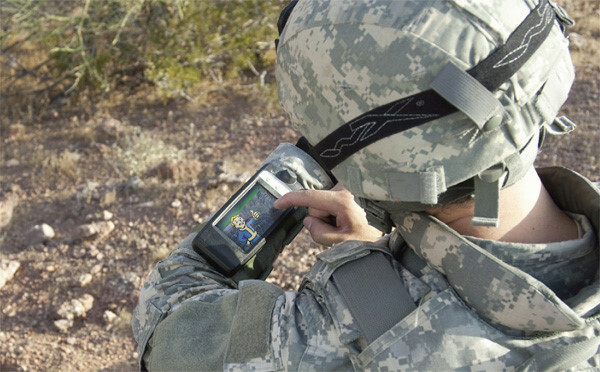 Reginald Daniels, an engineer for the U.S. Air Force Research Laboratory responsible for testing military wearable computers, said, "Given that the dismounted warfighter's job is not a computer operator, it is imperative that wearable computers be unobtrusive, intuitive to operate and provide compute-on-the-go functions." The GD300's sleek ergonomic design was the result of input and feedback from wearable-computer users from the military, government and emergency first responders. The GD300 includes a sunlight readable display and functional control buttons typically found on any Android-based device. The 3.5-inch touch-screen display lets warfighters move information around, zoom in or out or place digital 'markers' on tactical maps with the touch of a gloved finger. Comfortably fitting in an adult's hand, the computer fully meets MIL-STD 810G specifications for ruggedness. General Dynamics Itronix is a leading developer of wireless, rugged computing solutions for mobile workers, offering a full range of field computing systems including laptops, ultra mobile notebook PCs and tablet PCs. The company is part of General Dynamics C4 Systems, a business unit of General Dynamics (NYSE: GD). General Dynamics, headquartered in Falls Church, Va., employs approximately 91,200 people worldwide. The company is a market leader in business aviation; land and expeditionary combat systems, armaments and munitions; shipbuilding and marine systems; and information systems and technologies. 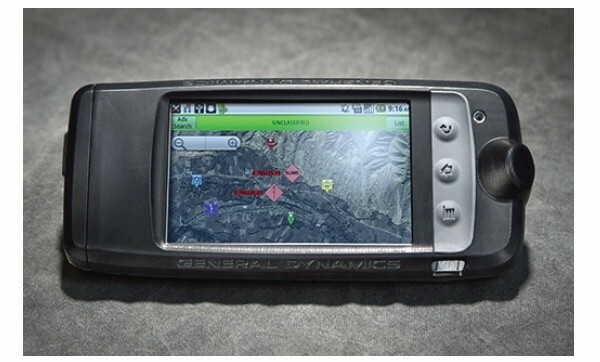 More information about General Dynamics is available online at www.gd.com.